Nick Spencer is the Managing Partner and co-founder of Pentant. He is also the Managing Partner of SSR, a wholly owned subsidiary of Pentant specializing in investment research. Prior to Pentant, Nick was President and CEO of Alleghany Capital Partners LLC the equity investment arm of Alleghany Corporation. Before that Nick was the Chief Investment Officer (Americas) for Goldman Sachs Private Wealth business where he was involved with both strategic and tactical asset allocation decisions for high net-worth families. 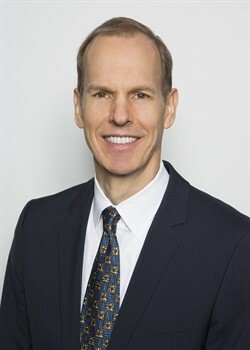 Nick had moved to New York for the position of senior research analyst covering the chemicals industry at Sanford C. Bernstein LLC in 1991, progressing to become Global Equity Strategist, CEO of the European business, Sanford C. Bernstein Ltd; and President of Sanford C. Bernstein LLC. Nick started his career at BP where he worked in the Chemicals business both in London and the U.S., in Oil Trading and in Corporate M&A.